United Yacht Sales New Jersey would love to guide you through a personal showing of this 62' Azimut Motor Yacht 2010. 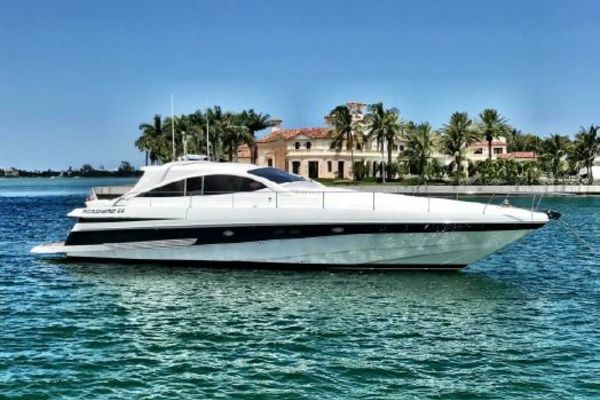 This yacht for sale is located in Florida United States and priced at $799,000. For a showing please contact us by filling out the form on this page and we will get back to you shortly! A fore cabin with en suite washroom with toilet and a dressing room. Aft to a twin berth cabin to starboard and a washroom with toilet to port. A master cabin with a double berth, en suite washroom with toilet and a dressing room is located at the aft end of the accommodation deck. Steps lead up to the inside helm position, galley and saloon. A sliding door leads to the aft deck and access to the fly-bridge. Two diesel engines are situated beneath the saloon sole boards.